Change can be easy and quick when the conscious and subconscious minds are in alignment. It's when they aren't in alignment that change becomes difficult for us. When they are not in alignment it is the conscious mind making the decisions but we find that our subconscious resists. And boy does it resist! Our subconscious mind has an innate drive to stay the same. Our subconscious mind stores our beliefs, our perceptions and the basic programs (habits) that run our lives and it is its nature to resist change and hold on to the old behaviors. The subconscious mind doesn't let go of established programming easily. Anyone who has ever been on a diet or tried to quit smoking is very familiar with this resistance. It is so strong that will power alone is no match for it! Subscribe to get the latest articles and news. Want the Latest and Greatest? It's free and anyone can join. Hypnosis is an educational and self-improvement process that facilitates access to a person's internal resources to assist him/her in solving problems, increasing motivation, or altering behavior patterns to create positive change. Medical Support Hypnosis is used only as an adjunct to conventional medical treatment. Consultation with a licensed physician is required before medical support hypnosis services are provided. 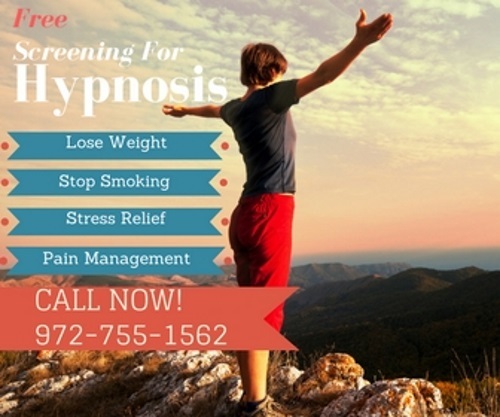 New Resolve Hypnosis Cutting edge Medical Support Hypnosis for health and wellness in Dallas Texas and surrounding areas.